Who said Xcelsius cannot render properly on Mobile devices? 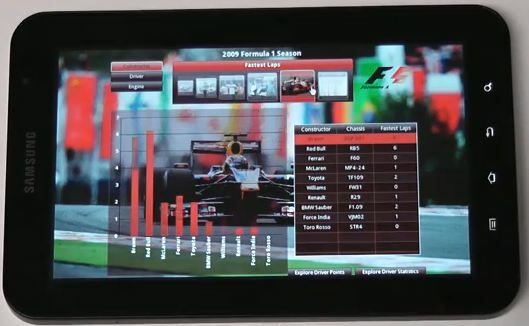 Here is a video from Antivia, demonstrating Xcelsius and Web Intelligence reports on an Android powered Samsung Galaxy Tablet. In this video you will learn how to create pop ups in Xcelsius 2008. Using the Push Button component in Xcelsius 2008 SP3, you can create pop ups which can be a real space saver and can add more interactivity to your dashboard.